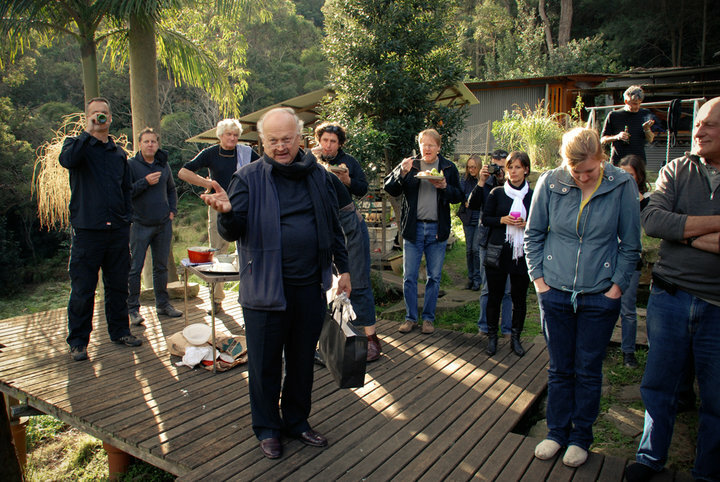 Glenn Murcutt is an architect, a designer, a subject of the scholarly work of many, and an educator. 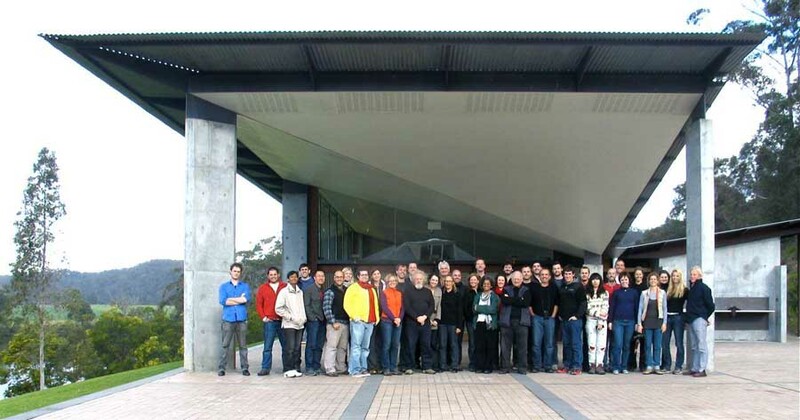 In practice for nearly 40 years, Glenn Murcutt has designed more than 500 buildings. His groundbreaking designs are celebrated for their focus on the sustainability of the natural environment, harmony with nature and resonance with Australia’s diverse climate and topography. 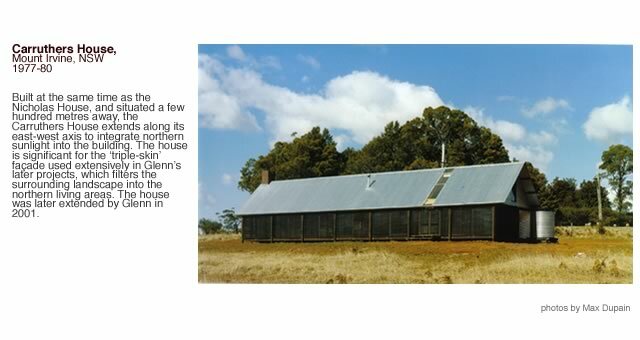 Glenn Murcutt has a strong fascination with Australian vernacular architecture. 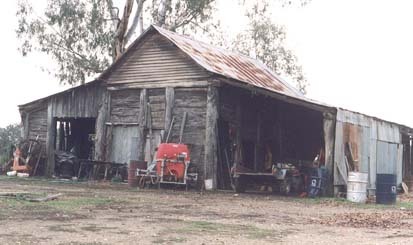 He was influenced by rural wood-and-corrugated-iron farm sheds… particularly wool sheds and shearing sheds. 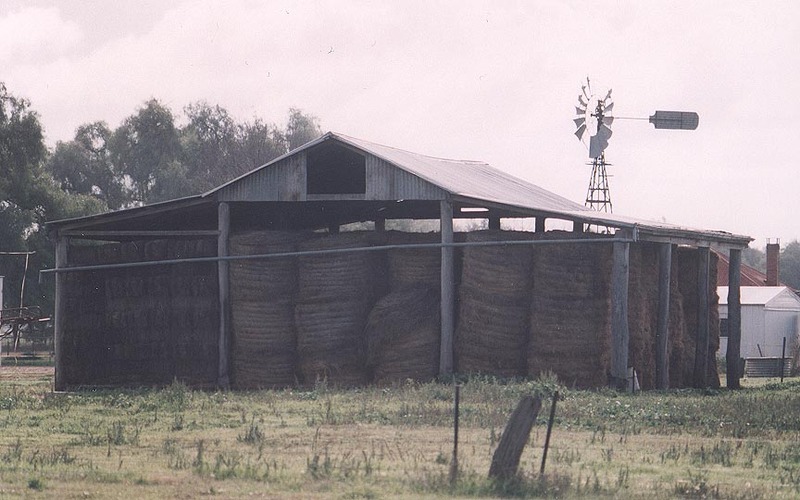 Murcutt says of Australia’s unpretentious corrugated iron sheds: “This appropriate architecture is clear, it is direct, it is obvious, it is logical, it is also beautiful. “You should be able to operate a building in a way like you operate a yacht. To be able to sail a yacht to get its best performance, you should be able to do that with a building. To open and shut windows to close this down, open something else up. Put a door in another direction to get the positive negative pressure systems working in the building. This is how you sail a yacht – to understand how you make things move naturally. You can do this with buildings in the very same way. Celebrated for his strong and personal approach in architectural and environmental design, the work of the Australian architect Glenn Murcutt was “green” decades before it became a buzzword. With thoughtful consideration of their impact on the local ecosystem, his buildings act as carefully constructed instruments responding to the forces of nature and tapping into the phenomenal qualities of their place in celebration of life attuned with nature. 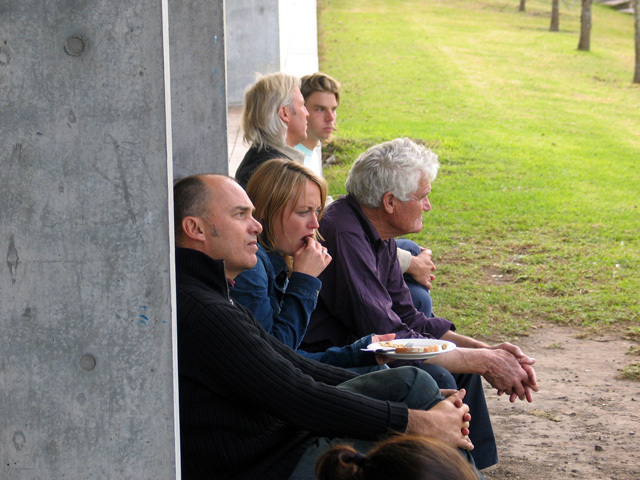 During a family trip, Murcutt was born in London in 1936 to Australian parents. He grew up in the Morobe Province of Papua New Guinea, where he developed an appreciation for simple, vernacular architecture. After study tour travels to Europe, he served an apprenticeship with the architectural firm of Anchor, Mortlock, Murray & Wooley until 1969. 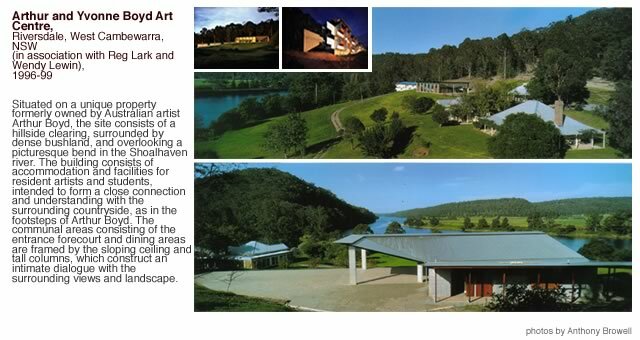 Murcutt’s early work experience was with various architects, such as Neville Gruzman, Ken Woolley and Bryce Mortlock which exposed him to their style of organic architecture focussing on relationships to nature. 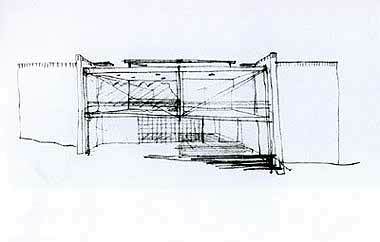 By 1969 Murcutt established his own practise in the Sydney suburb of Mosman. 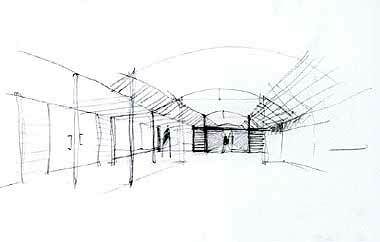 He has worked as a sole practitioner since establishing his office in Sydney in 1969 and still uses only pencil and paper to design. 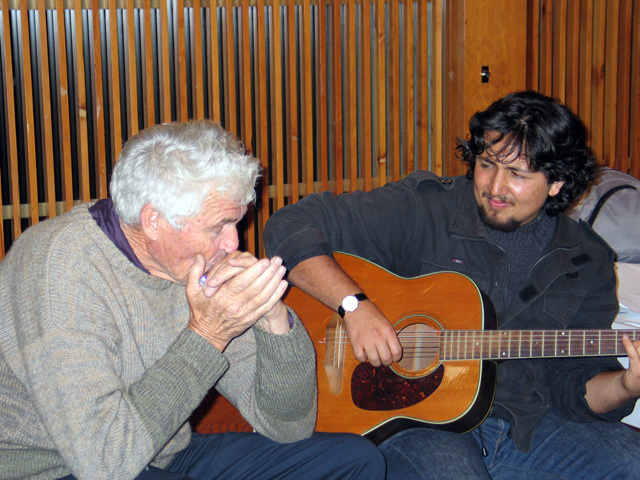 Since that time he has predominantly worked alone as a sole practitioner, without staff, entering into creative collaborations on a project-by-project basis and teaches and lectures at universities throughout the world. 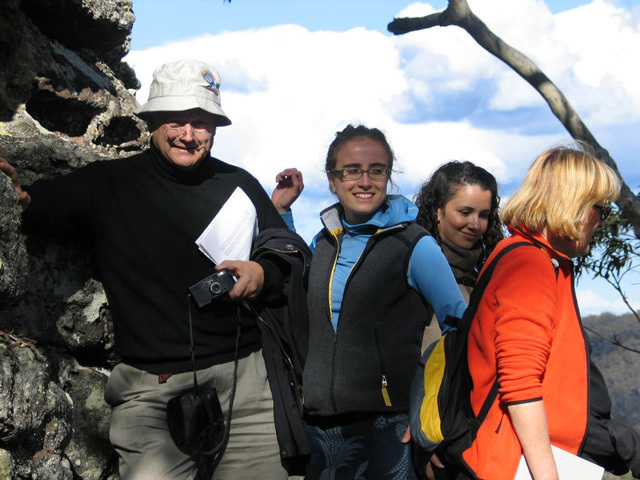 Glenn currently lectures and teaches architectural studies as a professor at the UNSW Faculty of Built Environment. 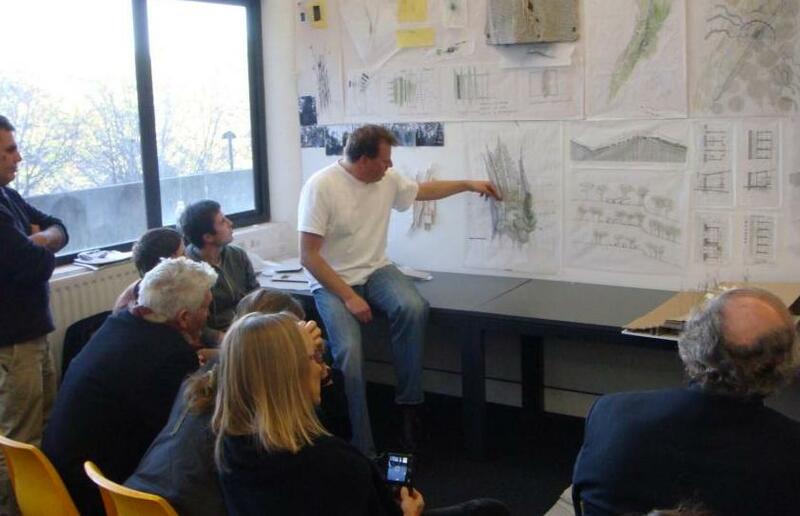 He is also a Visiting Professor of Architecture at Yale and has been Thomas Jefferson Professor at University of Virginia, Visiting Professor at the School of Architecture Aarhus, Denmark, and Visiting Professor at Montana State University. 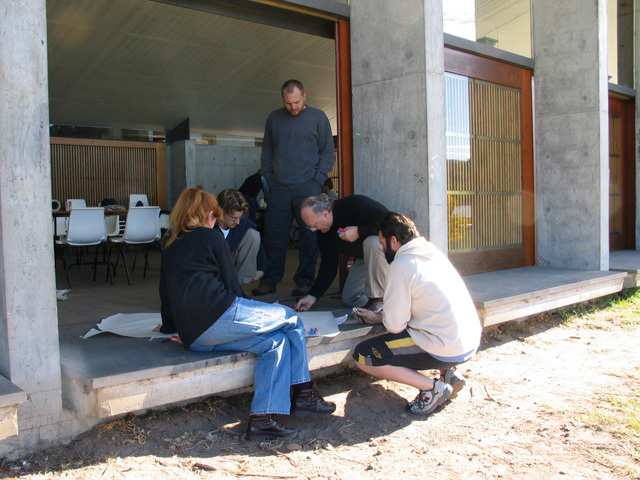 Although he does not work outside the country, or run a large firm, his work has a worldwide influence, especially since Murcutt teaches master classes for beginning and established architects. 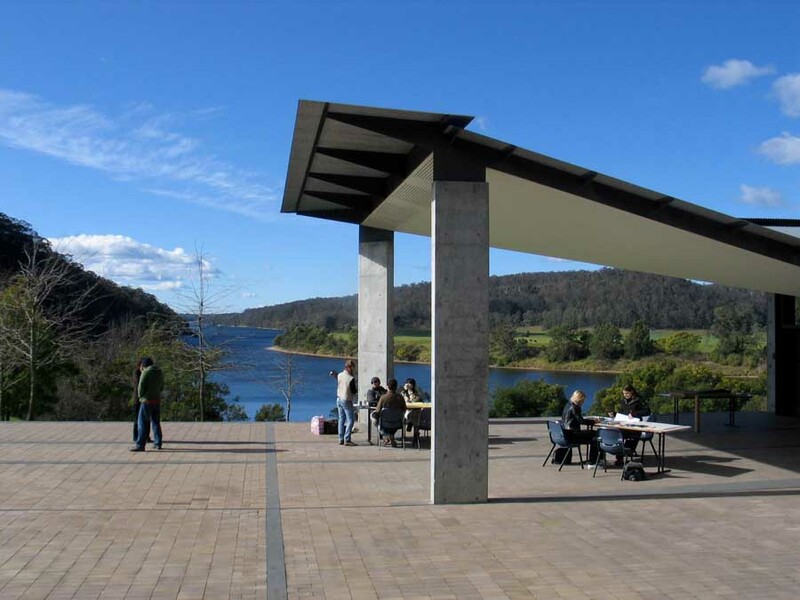 Murcutt’s motto, ‘touch the earth lightly’, convinces him to design his works to fit into the Australian landscape features. 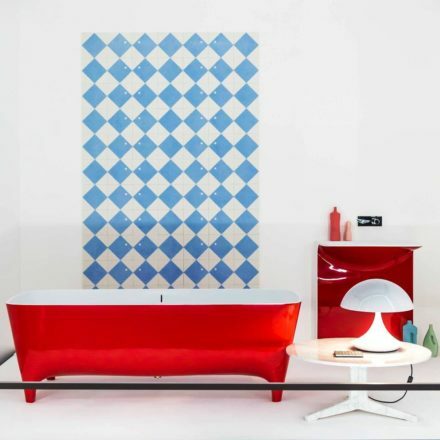 His works are highly economical and multi-functional. 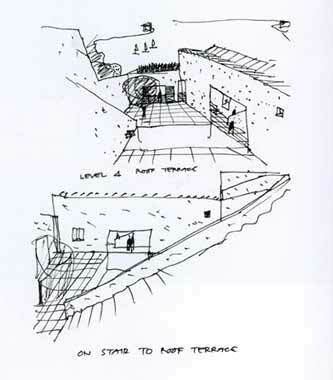 Murcutt also pays attention to the environment such as wind direction, water movement, temperature and light surrounding his sites before he designs the building itself. 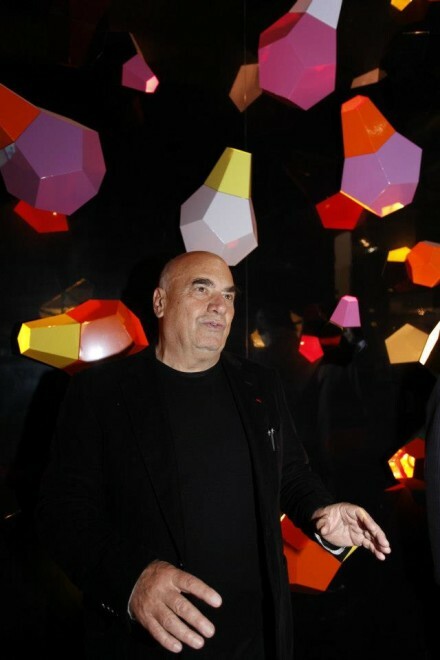 Materials such as glass, stone, timber and steel are often included in his works. Glenn Murcutt is not a builder of skyscrapers. He doesn’t design grand, showy structures or use flashy, luxurious materials. 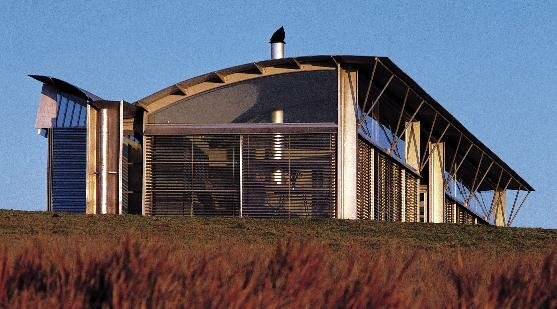 Instead, Australian architect Glenn Murcutt pours his creativity into smaller projects that let him work alone and design economical buildings that will conserve energy and blend with the environment. 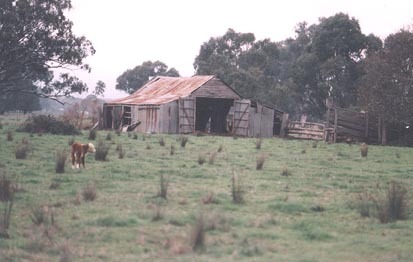 All of his buildings (mostly rural houses) are in Australia. Glenn Murcutt was inspired by the Californian architecture of Richard Neutra and Craig Ellwood, and the crisp, uncomplicated work of Scandinavian architect Alvar Aalto. 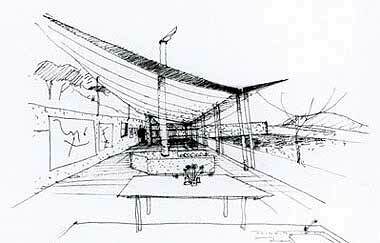 However, Murcutt’s designs quickly took on a distinctively Australian flavor. Many of Murcutt’s buildings are not air conditioned. Resembling open verandas, Murchutt’s houses suggest the simplicity of Farnsworth House of Mies van der Rohe, yet have the pragmatism of a sheepherder’s hut. These formally eloquent buildings with refined detailing are built using standardized and recycled products and indigenous materials that are readily available and affordable. 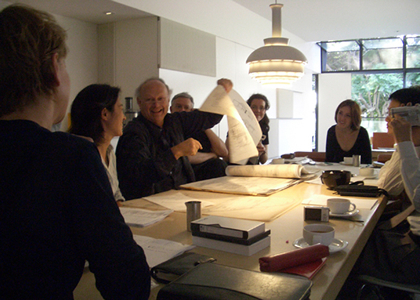 Though his work is limited in scope – primarily single-family residences, located in Australia – Murcutt’s impact has been world-wide due in part his frequent lecturing and teaching at numerous universities around the globe and most recently his annual master classes in Australia for beginning and established architects. 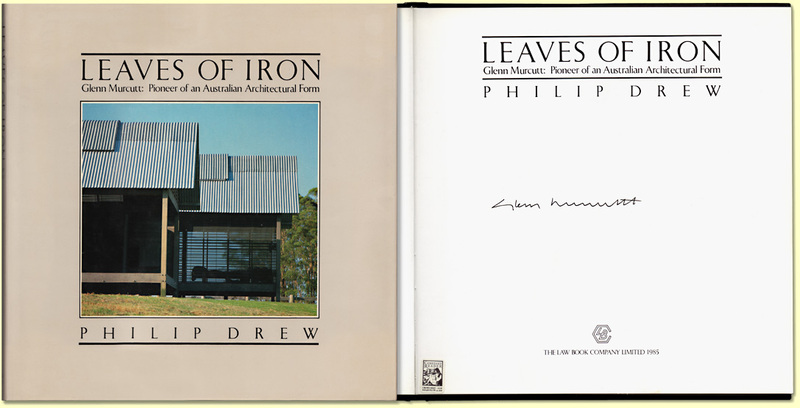 No Australian architect, living or dead, has furthered the cause of architecture and architectural education, within our shores and internationally, to the same extent as Glenn has. So great is the international reputation of Glenn Murcutt that his place as a representative of Australian architecture is assured for all time. 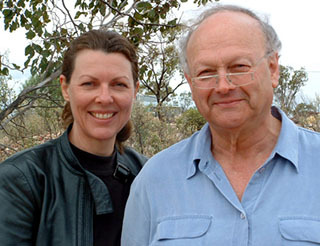 Glenn Murcutt is a representative master in the contemporary architectural world. 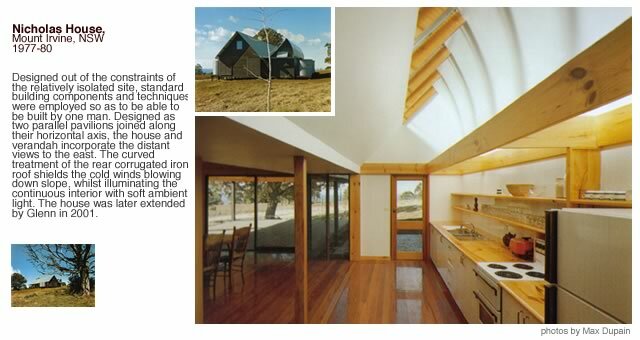 Glenn’s works pay constant attention to the climate of Australia, and are exemplified by a group of houses emphasizing sustainability, in an admirable resonance and unity with their environment. Without relying on mechanical equipment such as air conditioning, achieving natural ventilation through space planning and aperture layout, skillfully controlling light, shadow, wind, and insect damage through openings comprising three layers of precisely movable louvers, screen doors, and glass doors, with rainspouts and rainwater tanks in order to mitigate water sortages, built with recyclable materials allowing repeated extensions and alteration. 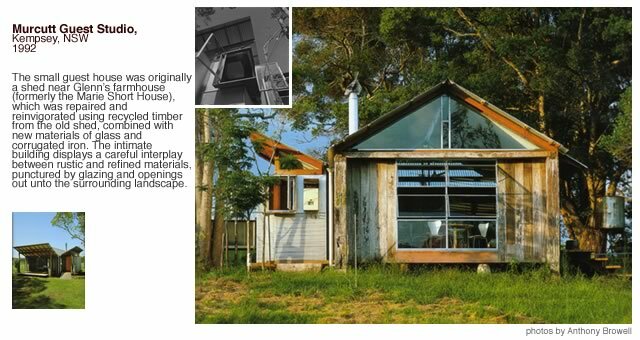 Throughout the details of Murcutt’s architecture there are devices that confront the natural environment and make maximum use of its endowments. His creations are an extension of the natural world around them. 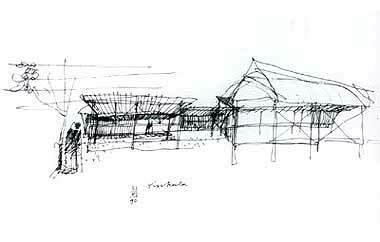 “There is a spatial sense when one is drawing. The hand is an extension of the mind, an extension of the eye,” he said. 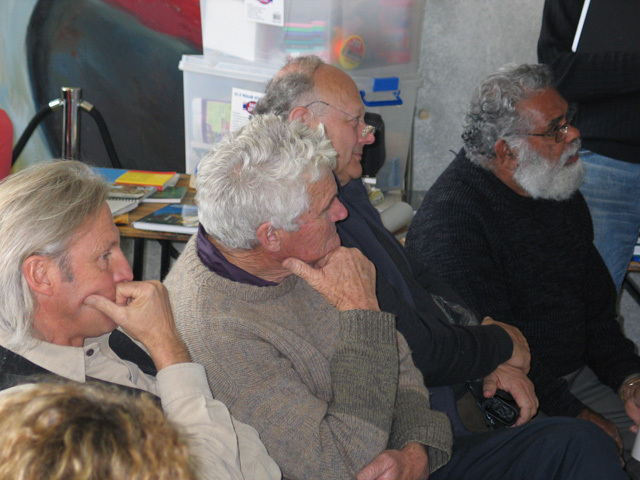 Murcutt often says that the progress of architecture has been stilted by the invention of computer programs such as AutoCAD. “I have not seen any improvement in the quality of architecture in the last 20 years since the advent of AutoCAD,” he said. 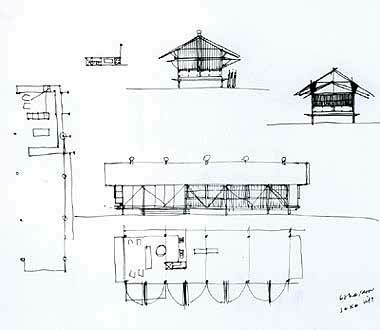 Murcutt always draws by hand, he quite literally thinks by drawing, from initial sketch to detailed construction drawings, tracing the journey of creation. “Architecture is a path of discovery, and discovery is a creative process. Drawing, to me, is an essential part of discovery. 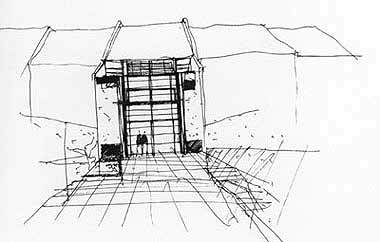 By drawing one understands the brief, the budget, the site, and all the factors of the environment in which a building dwells. The hand, making drawings, arrives at solutions before the mind is able to comprehend them. “Making buildings that are like instruments is very important to me. The buildings respond to the light, to air movements, to prospect, to refuge, to comfort. They work like instruments that produce the sound and the colour of the composer. But, I am not the composer. I just make the instruments. The light, the sound and the air are already there. 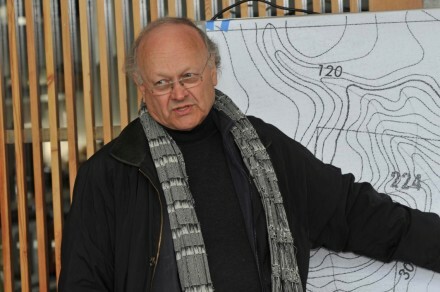 I just make buildings that allow people to sense them,” Glenn Murcutt said. I worked in my father’s joinery shop from the age of 11, and he drilled into me the idea of doing even the smallest thing extraordinarily well. 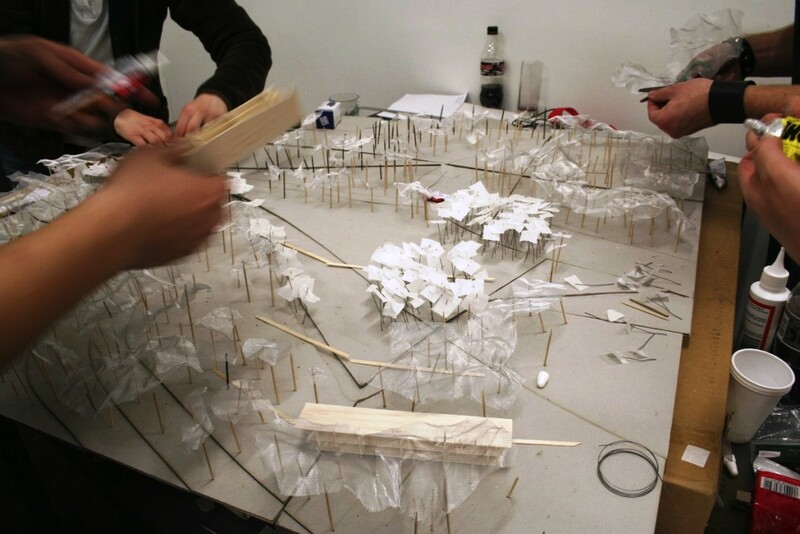 But crafting is only the means by which architecture is made; it’s not architecture. 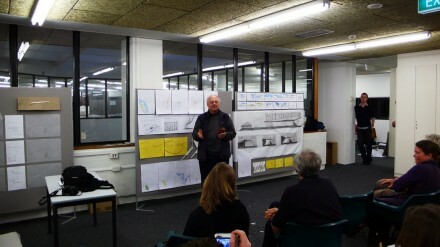 Murcutt also needed good clients and he acknowledges their patience and commitment in the Pritzker speech. 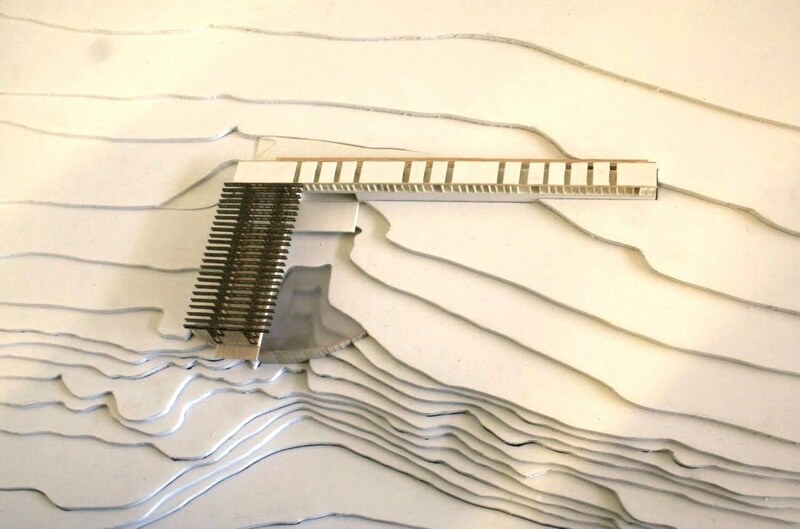 The letter goes on to outline their wish for a ‘minimalist pared down approach’, their desire for the preservation of the natural vegetation, a description of the site and the lengths they had gone to in researching the kind of architecture they wanted. If ever there was a meeting of like-minds between client and architect this, on face value, appeared to be it. But all was not smooth sailing. 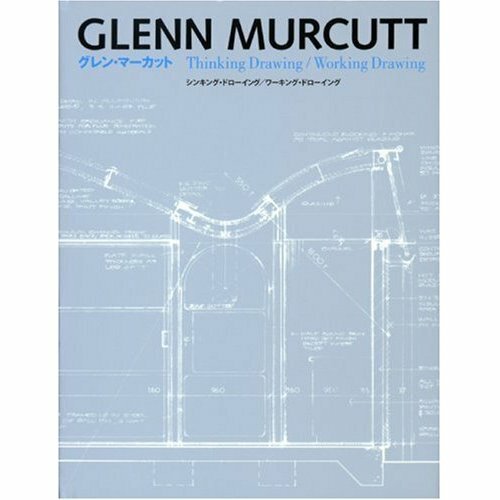 Indeed, we learn that at the first presentation of drawings ‘Murcutt was dismayed to be told by by Geelum that they had asked for a house of lightness and he had delivered a “battleship”’. Despite these early tensions, a productive and prolonged dialogue was initiated that saw the completion of the house in 1993. 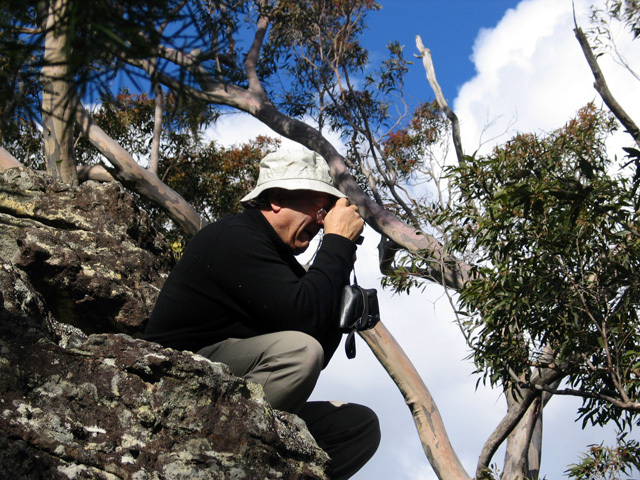 It went on to win the Wilkinson Award from the NSW Chapter of the RAIA in 1995, but missed out on a national award, a controversy made much of at the time. 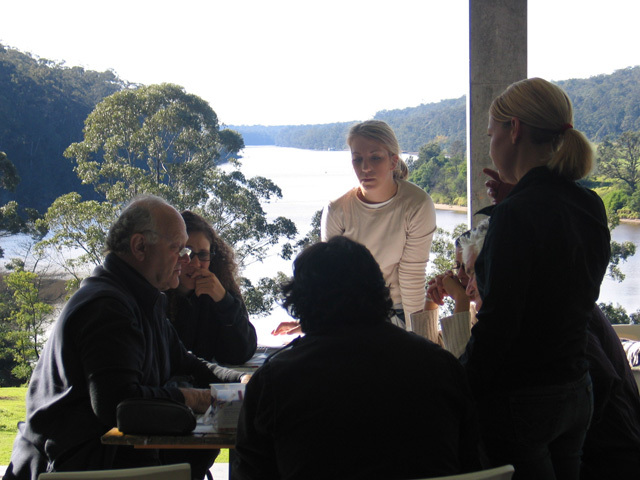 The two week residential design studio program is led by Glenn Murcutt with other tutors including Richard Leplastrier, Peter Stutchbury, Brit Andresen and, Master Class Convener, Lindsay Johnston. Since its inception, participants from 46 nations have attended the program. 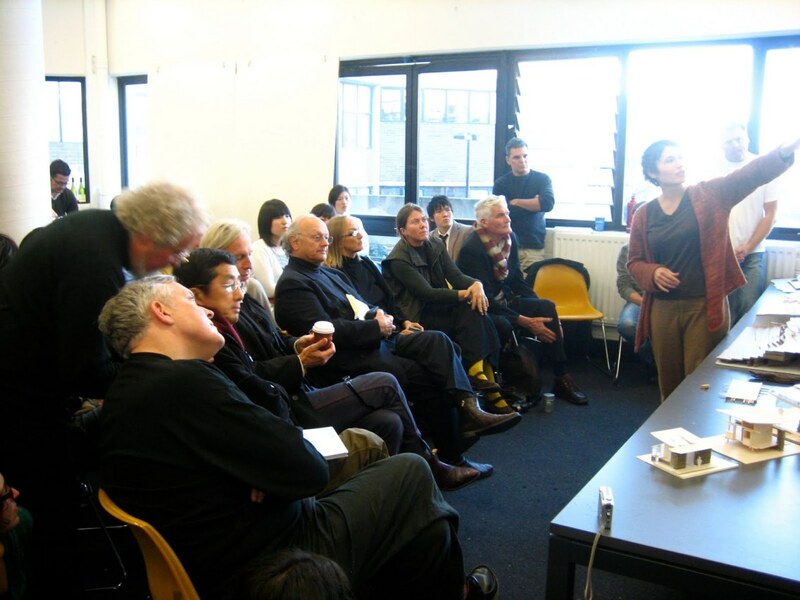 Participants are primarily, now, practising architects – older and younger – with some professors, academics, recent graduates and a few senior students. 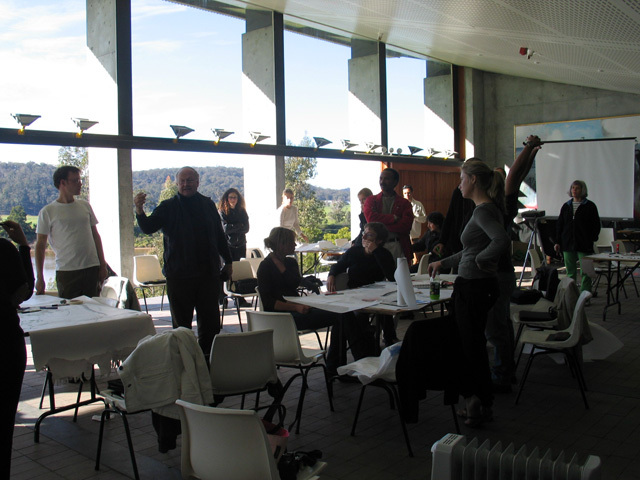 Participants stay for the first week in the exquisite hostel accommodation at the Boyd Education centre, designed by Murcutt with Wendy Lewin and Reg Lark and completed in 1999. 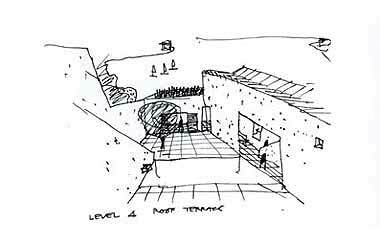 The ‘big room’ at ‘Riversdale’ is transformed into both banqueting hall and a design studio for six days while participants commence the conceptual design of a project located on a sensitive scenic site within walking distance of the venue. 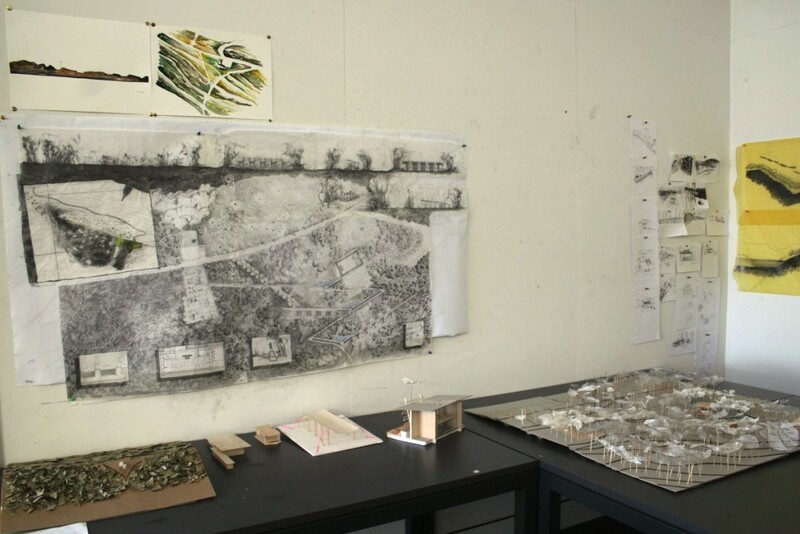 The program includes extensive site investigations, intensive studio tutoring, progress design critiques and after dinner lectures by the ‘masters’. The studio relocates to the University of Sydney for the second week, participants stay in a hotel near the University at Darling Harbour and culminates in final presentations and ‘Big Crit Day’. 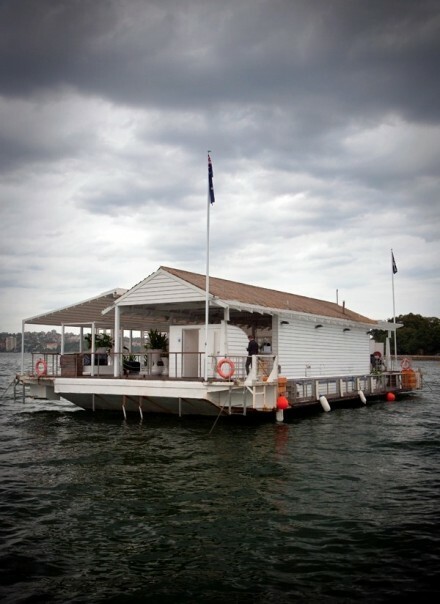 Other events in the program include visits to significant houses designed by Glenn Murcutt and the other tutors and, in previous years, a Sydney Harbour evening cruise. 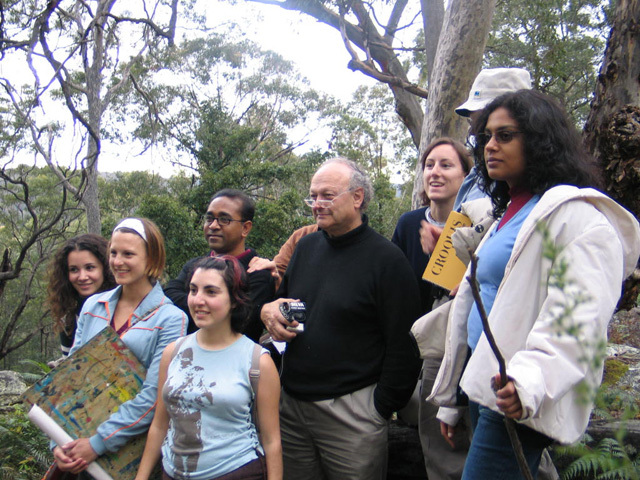 Throughout his career Murcutt has devoted, and continues to dedicate, much of his time to teaching young architects. He began his long experience as a Design Tutor in the Faculty of Architecture of the University of Sydney where he taught a generation of students from 1970 to 1979. Glenn is critical of what he says is a “culture of materialism and mediocrity” surrounding new projects in Sydney. The architecture of Australia is being stymied by “number crunching” planning officials who are making merchandise rather than architecture. The problem we have mostly is the buildings we’re putting up are totally inappropriate. From Darwin to Melbourne to Western Australia, it’s a disease. There are so many horrible, horrible developments and yet, the people are taught to love these things. They’ve all got to have air conditioning because they’re built the wrong way around. Glenn speaks for a beleaguered profession when he lays blame for a shortfall in creativity at the planning system’s door, arguing that a commercially bias is sapping the imagination of architecture in Australia. Murcutt, who has suffered 13 court cases over planning issues winning all but one, said most planning officials were “barely out of school” and should not be wielding the axe over Australian buildings. • the AIA Gold Medal Award in 2009. 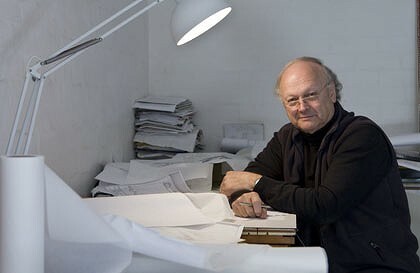 He is an Honorary Fellow of the American Institute of Architects (AIA), an International Fellow of the Royal Institute of British Architects (RIBA), an Honorary Fellow of the Royal Architectural Institute of Canada, an Honorary Fellow of the Finnish Association of Architects as well as Honorary Member of the Architects Institutes in Taiwan, Scotland and Singapore. In 2008 he was elected an Honorary Member of the American Academy of Arts and Letters. 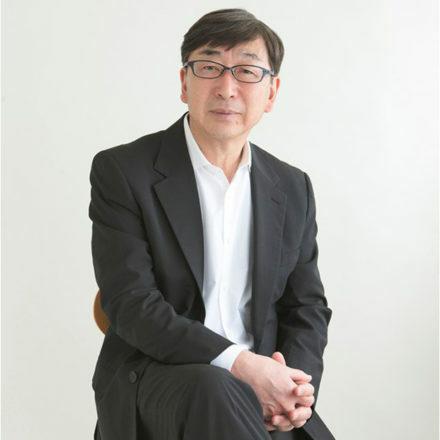 In 2010, he was named a Senior Fellow of the Design Futures Council. 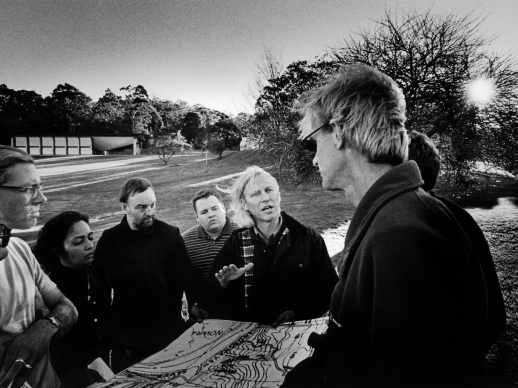 He was founding President of the Australian Architecture Association and is Chair of the Architecture Foundation Australia (annual Murcutt International Master Class). 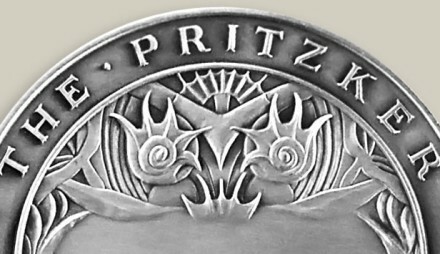 The purpose of the Pritzker Architecture Prize is to honor annually a living architect whose built work demonstrates a combination of talent, vision and commitment, which has produced consistent and significant contributions to humanity and the built environment through the art of architecture. 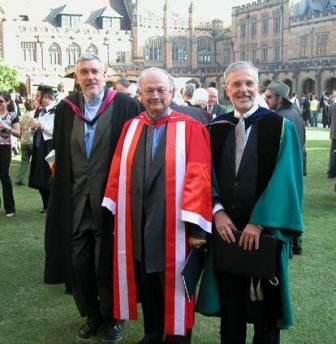 Murcutt is the first Australian to become a Pritzker Laureate, and the 26th honoree since the prize was established in 1979. 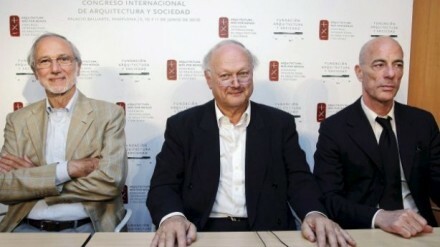 Past Pritzker laureates include Luis Barrag‡n of Mexico, James Stirling of Great Britain, I.M. Pei of the United States, Fumihiko Maki of Japan, Renzo Piano of Italy, and 20 others. The 2002 Pritzker Prize jury consisted of chairman, J. Carter Brown, director emeritus of the National Gallery of Art, and chairman of the U.S. Commission of Fine Arts; Giovanni Agnelli, chairman emeritus of Fiat from Torino, Italy; Ada Louise Huxtable, author and architectural critic of New York; Carlos Jimenez, professor at Rice University School of Architecture, and principal, Carlos Jimenez Studio in Houston, Texas; Jorge Silvetti, chairman of the Department of Architecture, Harvard University Graduate School of Design; Lord Rothschild, former chairman of the National Heritage Memorial Fund of Great Britain and former chairman of that country’s National Gallery; and Bill Lacy, executive director of the Pritzker Prize. 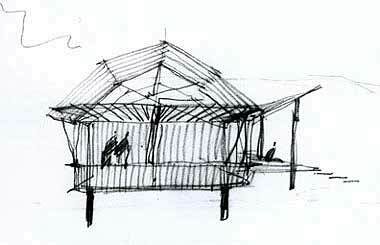 Glenn Murcutt is a stark contrast to most of the highly visible architects of the day – his works are not large scale, the materials he works with, such as corrugated iron, are quite ordinary, certainly not luxurious; and he works alone. He acknowledges that his modernist inspiration has its roots in the work of Mies van der Rohe, but the Nordic tradition of Aalto, the Australian wool shed, and many other architects and designers such as Chareau, have been important to him as well. Add in the fact that all his designs are tempered by the land and climate of his native Australia, and you have the uniqueness that the jury has chosen to celebrate. A sole practitioner who treasures – and respects – the Australian environment wins what is considered the “Nobel Prize” in architecture. He is considered one of Australia’s best-kept secrets and, at the same time, one of the world’s most influential architects. According to reports, no one is more surprised about receiving the Pritzker Prize than Murcutt. That, in a nutshell, explains his relatively low profile, in terms of main-stream press, In fact, this is the first time since its inauguration in 1979 that the Pritzker has been awarded to a sole practitioner. Adding to the “who?” factor is that in his 40-something years of practice, 66-year-old Murcutt has not designed anything outside of Australia, and most of his work has been residential. 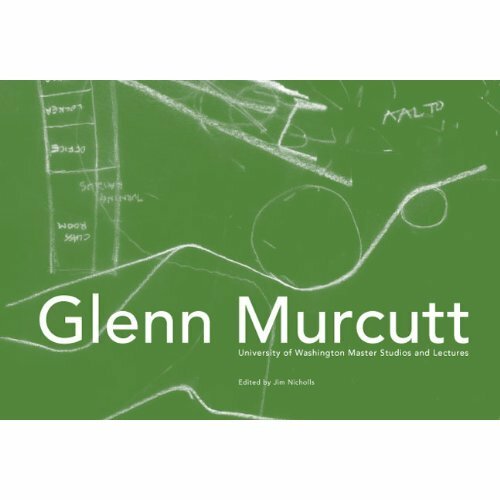 Actually, Murcutt is hardly a “secret” since he travels the world teaching and lecturing at universities (including Yale University School of Architecture; Washington University, St. Louis; University of Pennsylvania; the state universities of Texas, Arizona, Kansas, and Hawaii). He has also been the subject of numerous books and international magazine articles. 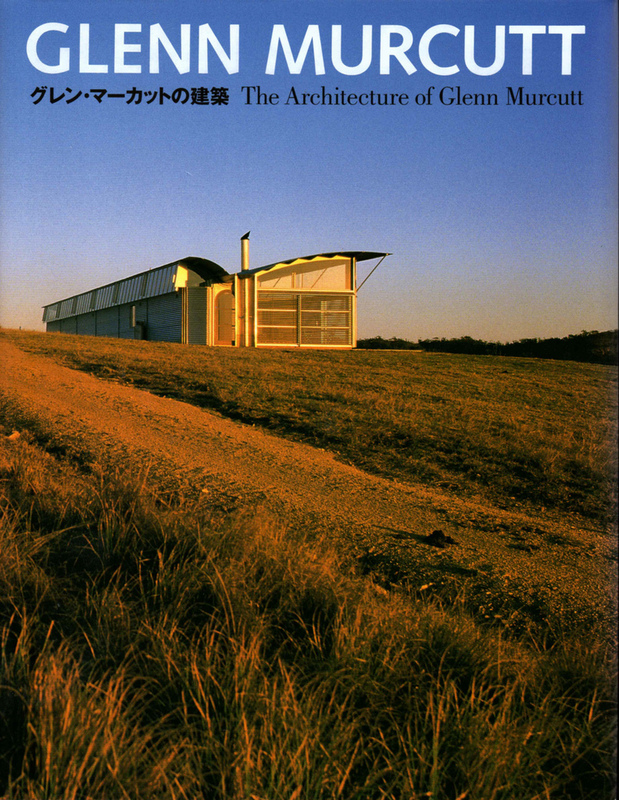 One of the first definitive works was “Glenn Murcutt: Buildings and Projects” by Françoise Fromonot, first published in 1995 (now out of print – but perhaps not for long). 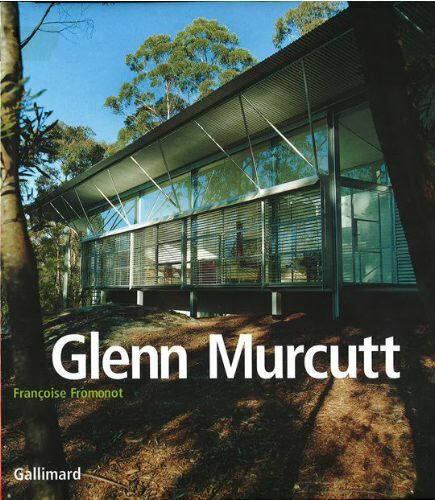 In that book, she describes Murcutt as the “first Australian architect whose work has attracted international attention. “I have had to fight for my architecture. I have fought for it right from the outset because councils have clearly found the work a threat. For many designs I put to council, we either had to resort to a court for the outcome or better, negotiate a satisfactory result, always trying to avoid a compromise. I have had the greatest trouble with planning, building, and health department staff, many of whom have backgrounds unrelated to architecture, but offer very conservative judgments in taste and aesthetics. His primary clients are residential, who want houses that are not only environmentally sensitive, but provide privacy and security in structures that please all the senses. 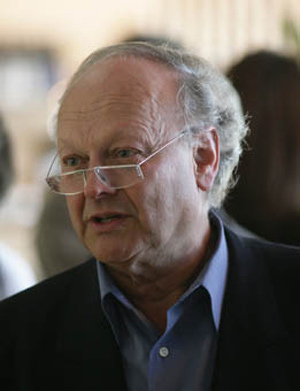 Thomas J. Pritzker, president of The Hyatt Foundation which sponsors the prize, said, “Glenn Murcutt is a stark contrast to most of the highly visible architects of the day — his works are not large scale, the materials he works with, such as corrugated iron, are quite ordinary, certainly not luxurious; and he works alone. 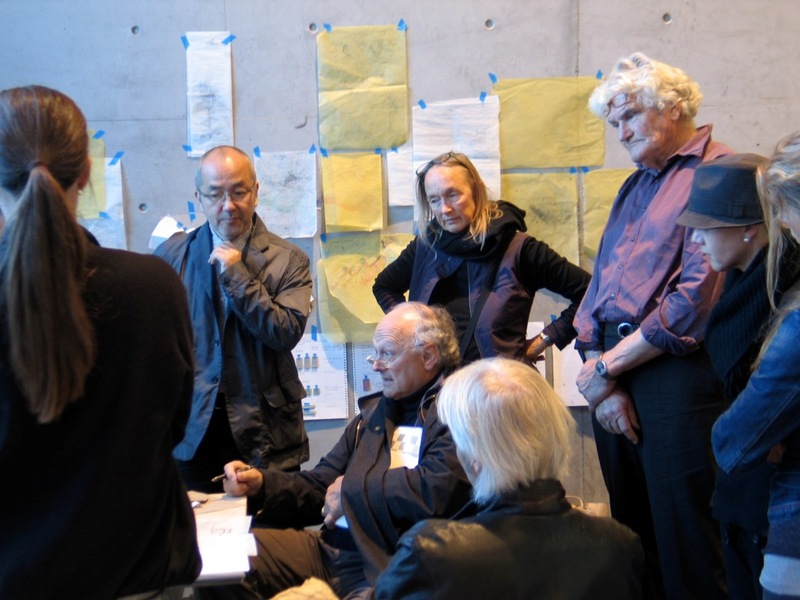 The AIA Board of Directors voted today to award the 2009 AIA Gold Medal to Australian architect Glenn Marcus Murcutt, Hon. FAIA. 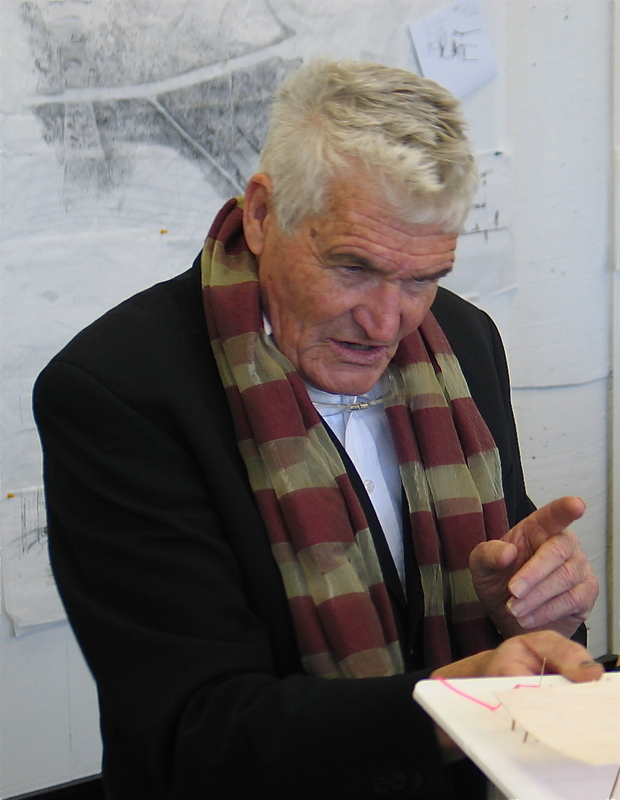 Murcutt (65th recipient) was recognized by the AIA Board in large part for the depth of his work and the breadth of his influence. Although Murcutt works exclusively in Australia, he has had and continues to have a profound impact on architecture around the world. “While some might characterize a single-continent geographic range of work as ‘regional,’ the effect of Mr. Murcutt’s is amplified by impassioned and extensive lectures and a commitment to teaching throughout the world,” said Tom Howorth, FAIA, chair of the AIA Committee on Design’s Gold Medal Committee. 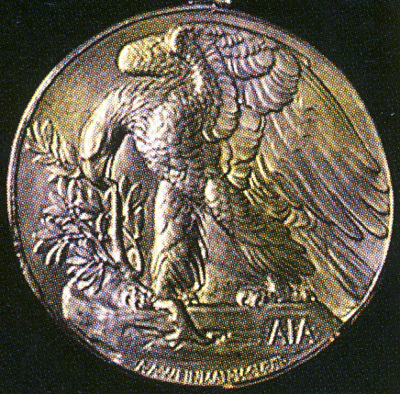 The AIA Gold Medal, voted on annually, is the highest honor the AIA confers on an individual. The Gold Medal honors an individual whose significant body of work has had a lasting influence on the theory and practice of architecture. 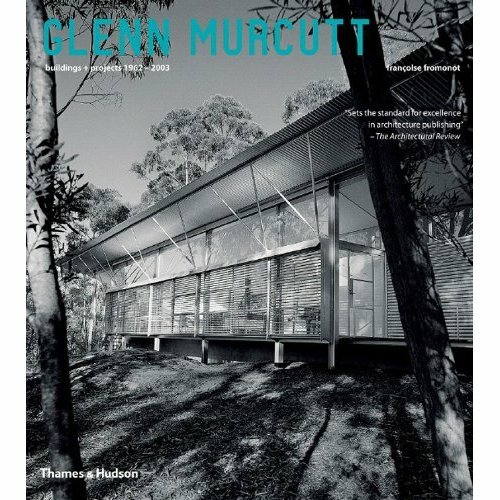 Murcutt is the most written about Australian architect in our history. Distinguished French architectural historian and critic, Françoise Fromonot, recognized Murcutt as the “first Australian architect whose work has attracted international attention.” Indeed the subsequent great interest in, and admiration of Australian contemporary architecture abroad, owe immeasurable debt to Murcutt and his remarkable body of work. 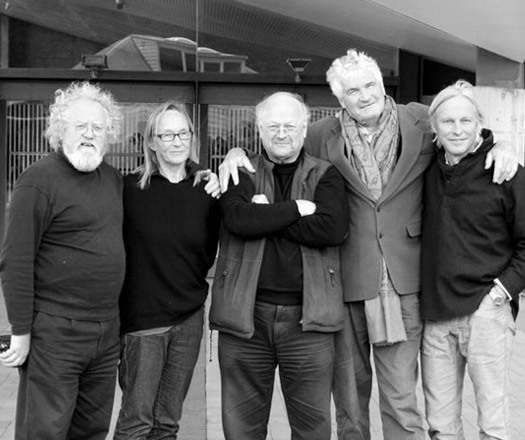 At 70, Murcutt has the vitality of three 20-year-olds, plus the guileless self-absorption of a 10-year-old. Clad in an oversize suit jacket, and with an odd and paradoxical manner of quickened repose, he looked like a small owl, and he talked pretty much the same way he drove: ceaselessly switching this way and that among topics, explaining his practice, relating elements of his life story, pointing out features of the landscape, the climate, the way the water ran, the local flora (“by the way, that’s a stinging tree; if you walk into that the pain is terrible”), his mind in a kind of constant third gear while he zoomed down long lengths of architectural theory, darted up cul-de-sacs of autobiography, paused to note the position of the sun in the sky and accelerated unevenly through a discussion of the Pritzker Prize, that most lucrative and high-profile of architectural awards, which was bestowed upon him in 2002. 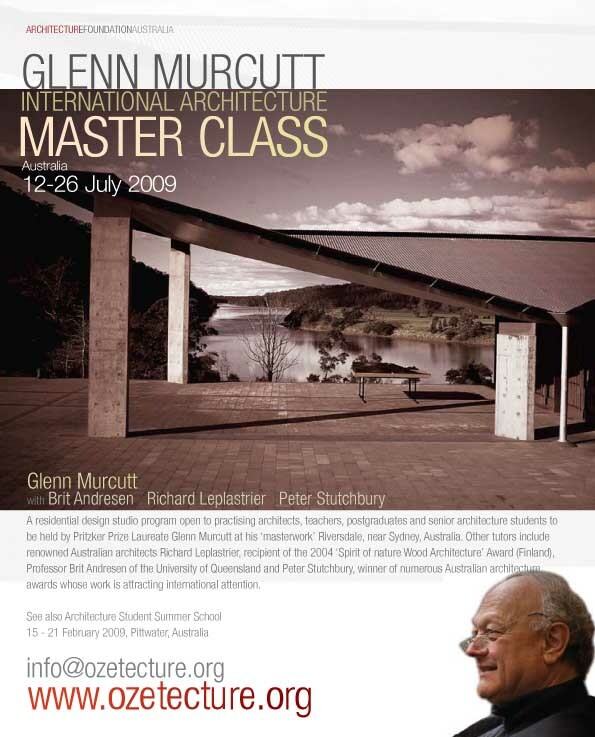 It may be easiest to explain who Glenn Murcutt is and what he does by explaining what he isn’t and does not do. To begin with, he doesn’t build outside Australia — never has — and so many of his fiercest fans have never actually seen his work. He has no staff, no draftsmen or model-builders, not even a secretary. He works out of a neat semidetached house in a suburb northeast of Sydney, with no one to keep him company except his wife, Wendy Lewin, who collaborates with him on some projects but otherwise pursues her own architecture career at a drawing table right next to his. He has no e-mail and no cellphone, and he rarely picks up the land line in his office, preferring, instead, to be sent faxes, which he writes on and sends back. What he does do is design buildings that are uncommonly responsive to the environment in which they sit, to the indigenous physiognomy of the landscape, the angle of the sun, the path of the wind, the shapes of the leaves on the trees. By mixing together Australia’s vernacular style with the clean lines of classic Modernism, he has created an architecture that’s both true to the place and unexpectedly rigorous, like a bow and arrow made out of titanium. The recent widening of his reputation owes a lot to the profession’s gradual conversion to the gospel of environmentalism, but he remains stubbornly autonomous and openly wary of catchphrases and clichés. (Of “sustainable architecture” he noted: “Most of it is bloody awful. Much of it isn’t architecture, and some of it isn’t sustainable.”) But the Pritzker is a machine for star-making, and as a result, this most resolutely local of architects has slowly acquired an international profile. We drove (hastily, erratically) through an area called Kangaroo Valley, a magnificent landscape full of steep, green-sided mountains, sudden meadows and small savannas where tall trees mark the winding water table, until we arrived at the Fletcher-Page House, a small residence Murcutt built in 1996. It stood about midway down a plunging slope, overlooking a spectacular glen and the rising hillside opposite — an intricate splinter of a building, with a simple shed roof of corrugated iron, stretches of floor-to-ceiling windows and, inside, a long corridor running against one wall, from which the living areas split off one by one. The house was so narrow that sunlight streaming through the clerestory on one side shone on the grass on the other, and it came equipped with all manner of membranous sliding windows, screens and shades, which the owners, who were obviously delighted with the place, happily opened and closed for me. 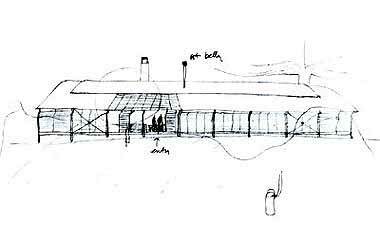 Murcutt began his career as a more or less straightforward Modernist, designing spare, orthogonal buildings with simple materials and a lot of glass. Mies van der Rohe was the master, and his Farnsworth House, built in 1951, was the model: austere to the point of puritanism, its plan so open it redefined the idea of domestic space, the Farnsworth House was an avatar of the International Style, and true to the name, Murcutt found it so adaptable to Australia’s culture and climate that some of his earliest projects look like knockoffs. 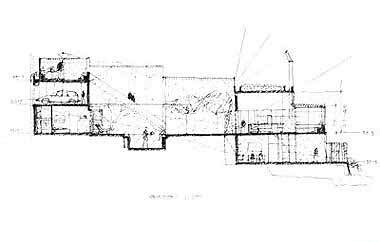 Mies provided the principles: legibility, lack of adornment, undisguised materials. But it was Alvar Aalto who eventually set the tone. Aalto was a Finnish architect who took the forms of high Modernism and softened them, adding natural materials, earthier colors and curvy lines that integrated his buildings into their natural surroundings, rather than plunking them down like boxes in meadows, as even the best Modernists sometimes seemed to do. In the early ’60s, Murcutt went on a sort of Grand Tour of Europe’s architecture; Finland was almost an afterthought, but the effect of Aalto’s naturalism was immediate and lasting. “I saw the longevity of his ideas,” he told me. “It was about light, prospect and refuge, space. He understood materials, the relations of spaces to materials. 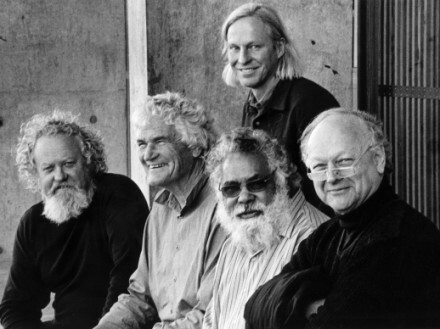 They were a fantastic discovery for me.” As if to return the favor, the Aalto Medal was bestowed on Murcutt in 1992. 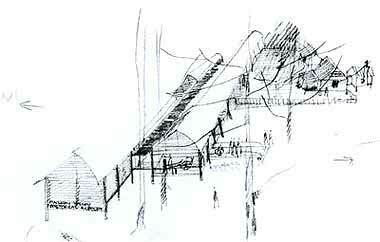 Still, these are influences that almost any architect of Murcutt’s generation might acknowledge. He will mention, on top of them, Pierre Chareau and Bernard Bijvoet’s Maison de Verre in Paris, a somewhat eccentric but widely beloved building that mixed industrial materials, craftsmanship and sheer ingenuity to create a sort of Outsider Modernism; the Spanish architect José Antonio Coderch, who brought intellectual rigor and honeycombed complexity to Mediterranean villas and housing projects; and some lesser-known figures like Gordon Drake, who built a few mutable, nature-friendly houses in California in the ’40s and early ’50s. 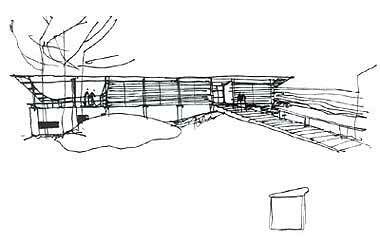 But Murcutt’s mature style started with an unexpected swerve, born of a good long look at his native home and its history. 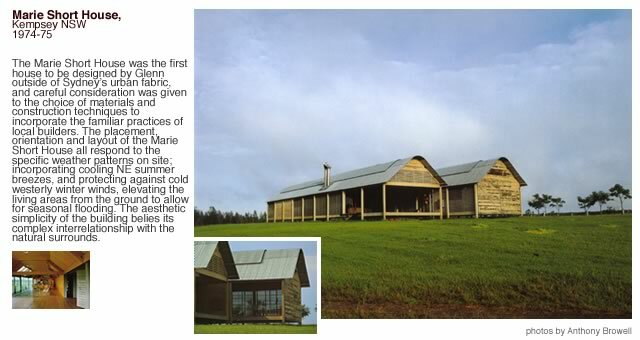 For the Marie Short House, which he began in 1974, Murcutt started tapping into the forms and materials of the woolsheds that dot the New South Wales countryside. 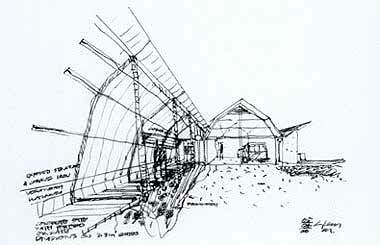 Long and narrow, raised on stilts and oriented to make the best of the sun and winds, with curved roofs to protect them from rain and open plans to keep the air circulating, the woolsheds were an untutored response to the demands of the Australian climate. 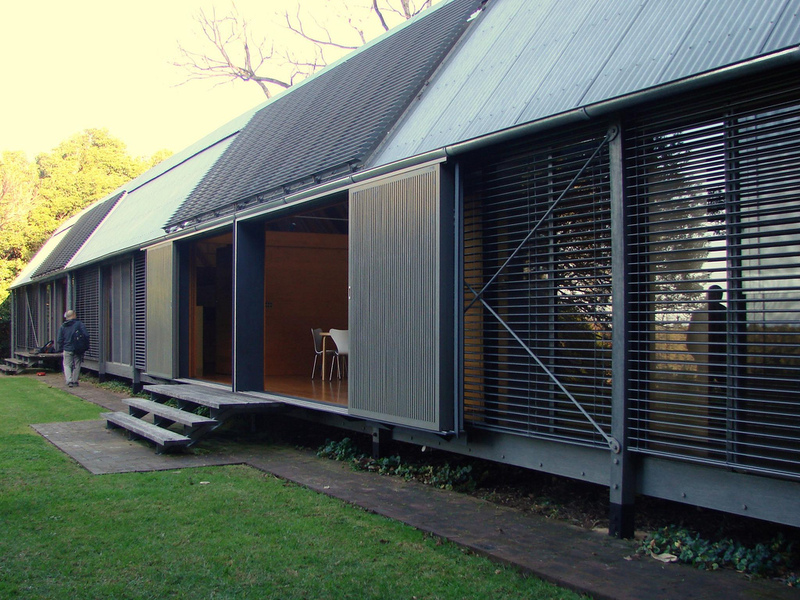 To Murcutt, they were a template for sensible design, and he soon began working on variations on the woolshed, fashioned out of modern materials and customized for human life. 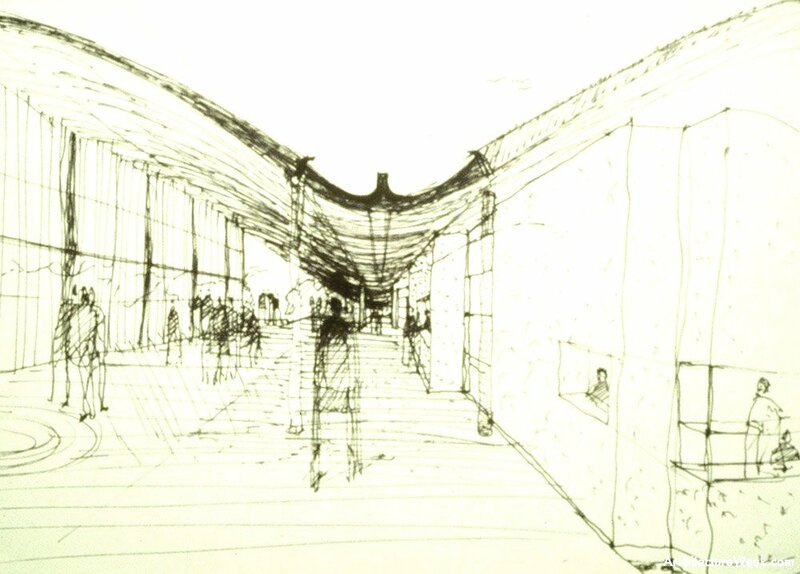 By the early ’80s, he was adding in aboriginal ideas of orientation and communal space, principles less strictly architectonic but every bit as influential. Since then, he has expanded his inventory of elements to include organic forms like bird-wing roofs and leaflike iron fringing on the eaves. Sometimes, as with the House in the Southern Highlands, begun in 1997, his buildings seem to bristle with louvers and vents, overhangs and gutters. 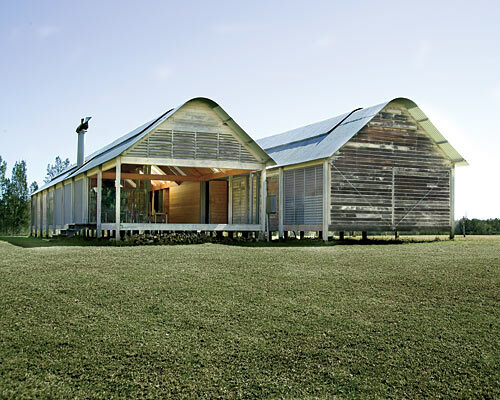 Sometimes, as with the Marika-Alderton House, a residence in Australia’s remote Northern Territory, or the Simpson-Lee House, with its two corrugated iron structures joined by a path beside a reflective pool, they’re so spare and open that they seem self-effacing. 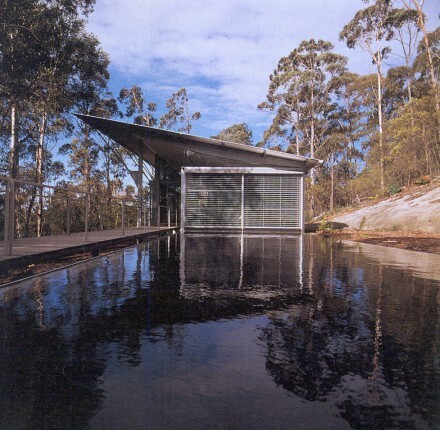 What all of Murcutt’s work shares is a conception of architecture as minimal intervention, yielding buildings so efficient, and so deft in their design, that they hardly feel like buildings at all, though they provide all the comforts of more conventional edifices. At their best, they’re as controlled and powerful as a sonnet: dozens of considerations seem to click neatly into place, yielding a single, surprisingly simple structure. And if this sounds improbably confident, consider this: The day we stopped by the Fletcher-Page House was sunny and bright, with temperatures in the upper ’80s; but the house was cool and comfortable, though it has no air-conditioning. In fact Murcutt has used air-conditioning in his buildings only twice in his career, and many of them have no heating system either. It’s a waste of energy, he insists, and if you build properly, you don’t need them. 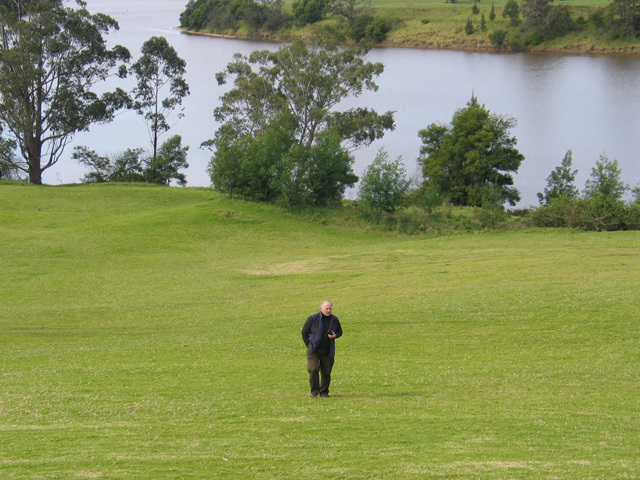 If you ask Murcutt about his career, he’ll describe all these things: his education and influences, his principles and practices. But there’s one experience that figures larger in his life than school or travel: his early childhood, which was spent in Papua New Guinea, in a setting not just rural but almost primeval, many miles from the nearest white settlement. 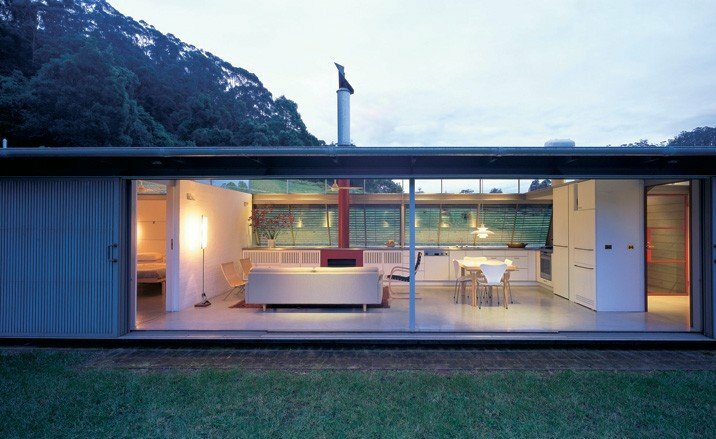 And there’s one figure whose teachings and example meant even more to him than Mies’s: his father, who died when Glenn Murcutt was 33 and who nevertheless occupies his son’s imagination as vividly and completely as if he slept in the next room. 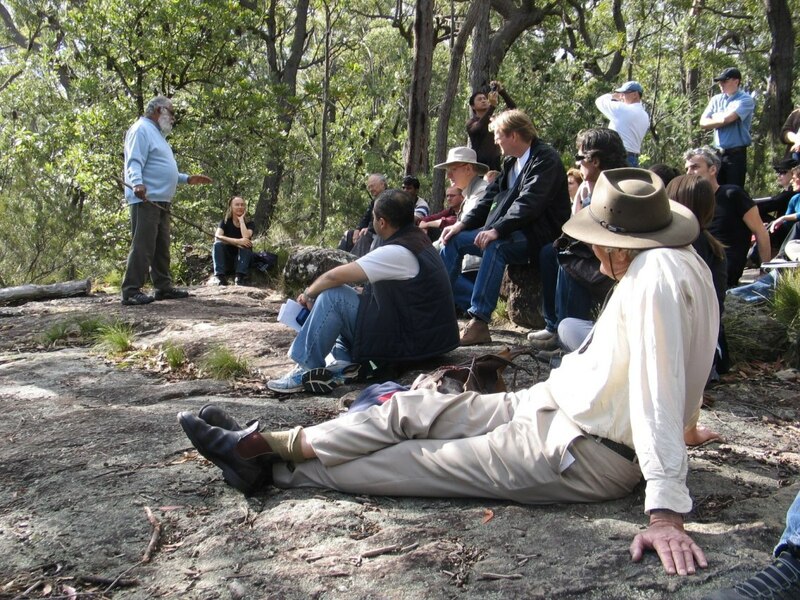 Arthur Murcutt was the sort of man who might loom over anyone’s life, most especially a son’s. After dropping out of school at age 11, he worked as a sheepshearer, then moved to New Guinea, where he spent some time as a shoemaker, palled around with Errol Flynn before the latter went to Hollywood, and eventually took up gold prospecting. At 34, he married a bright and sensitive girl of 19; Glenn was born two years later (he’s the eldest of five) and spent the first six years of his life living in the New Guinea bush among a fearsome and by many accounts cannibalistic tribe called the Kukukuku, watched over by a father who seems to have been almost as threatening. Arthur Murcutt drove his children, enforcing a regimen of physical and mental training designed to ensure that they never got soft: exercises, drills, competitions and cross-examinations — in truth he sounds like a martinet, the sort of man who inspires either perfect loyalty or profound loathing. Beyond that comment, telling as it may be, he speaks of his father as an eminence to whom he owes everything and of his early years as an unmatchable lesson in being alive to the natural world. “Our early survival was entirely related to observation,” he told me. Later, in the narrow white living room of his modest Sydney residence — as safe and sane a place as ever was — he revisited those first years of his life as if he’d only recently left them behind, leaning forward in his seat, his eyes glowing behind his glasses. It was a childhood fit for a boy’s adventure magazine, coupled with a pioneer’s exigent home-schooling, and among the more formal subjects Murcutt’s father taught was architecture, using copies of American design journals that he had shipped in. The children were tested on these too: nature and culture, each an opportunity for an education both wild and disciplined (when the Murcutts came back to Australia at the start of World War II, wealthy from the New Guinea gold mines, they moved into a house with seven pianos). Glenn got his degree from the Sydney Technical College, attending classes at night while he apprenticed with a local architect. Soon after graduating, he went off on his own. “I was the King of Alterations and Additions for the first 15 years of my practice,” he said. He designed a house for his brother and a small country house for a young couple and taught at the University of New South Wales architecture school. 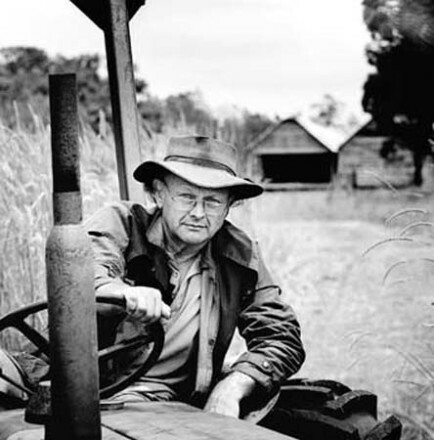 His annual income put him in the lower ranks of the middle class until he was 60. “In those first years I couldn’t afford to register my car, so I had it up on blocks,” he told me. “I had to take the bus and sneak in the site so the builders didn’t know I didn’t have a car.” Even now, with a worldwide reputation and a three-year waiting list for new clients, he lives like a schoolteacher. Still, there are advantages to being known mostly to students and some colleagues. 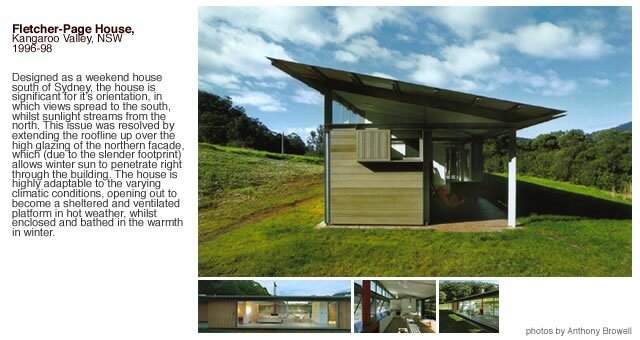 Because Murcutt has only recently started receiving widespread attention, he has thus far escaped concerted criticism. 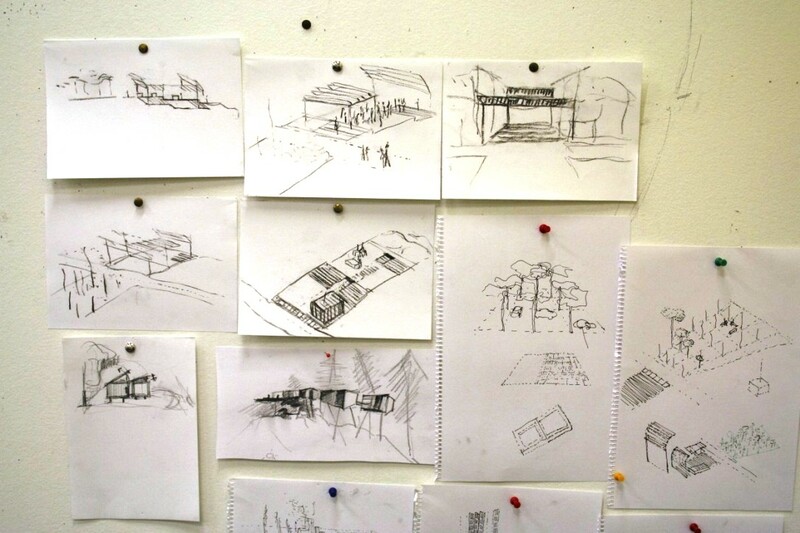 What little there has been has focused on the fact that his work isn’t scalable: he has a firm belief (Thoreau again) in both privacy and individuality, which for the most part translates into single-family dwellings in suburban or rural environments. Such commissions are as difficult to design as any other building, but their benefits don’t spread far: he has never designed an inner-city apartment house, for example, and it’s unlikely that he ever will. But what he does build he builds exceedingly well. At 70, which is after all midcareer for an architect, he carries on exactly as he always did, in stubborn seclusion and keen concentration. He still stands on an empty site and watches the trees, judges the wind, measures the rainfall, and he still approaches his work with a mixture of open-mindedness and obstinacy. The environmental sentiments expressed in these early bush buildings have inspired a new generation of architects seeking an Australian style. 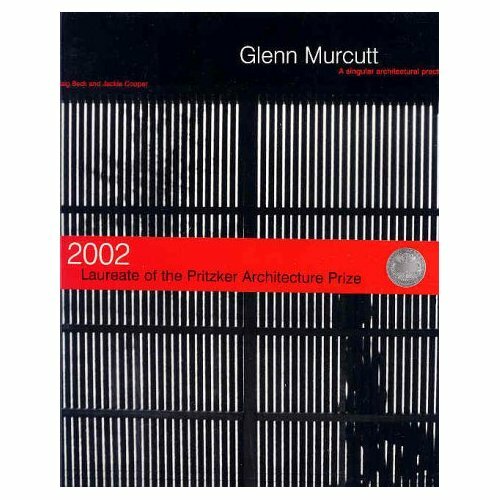 The leading architect of the genre is Glen Murcutt, winner of the Pritzker ( the noble prize of the profession.) 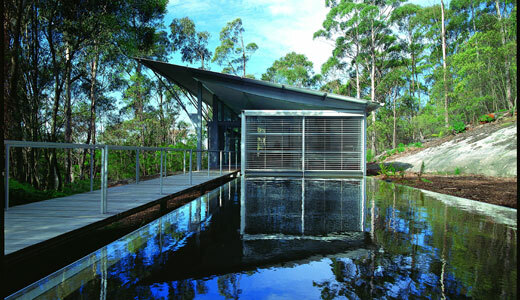 Murcutt takes the understatement of the bush shacks and infuses into them the refined concepts of modern architecture. 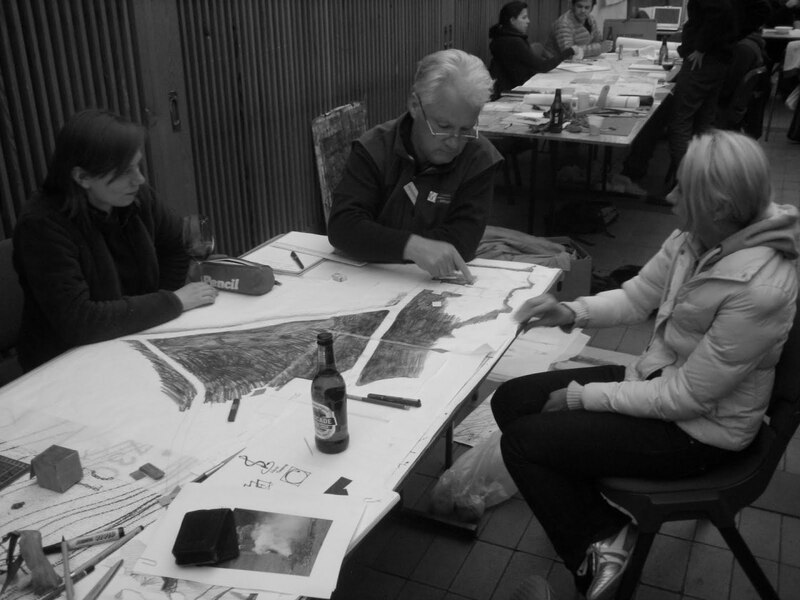 We Architects are always checking out the competition. 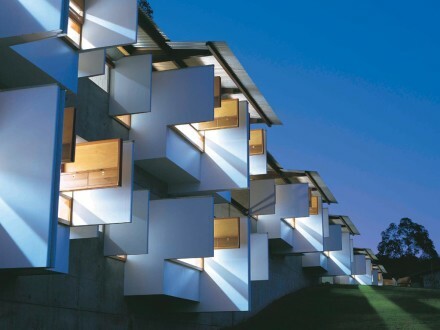 Several Architects catch my attention these days, but no one has inspired me as much as Glenn Murcutt. His work, often deceptively simple, is a masterful blend of natural materials and site. He makes buildings that feel like they have always been there. 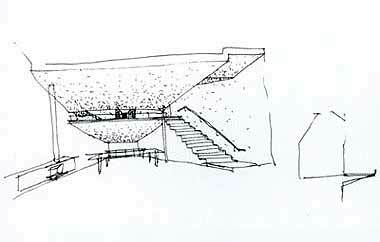 Murcutt is a master of shadow, form and texture. 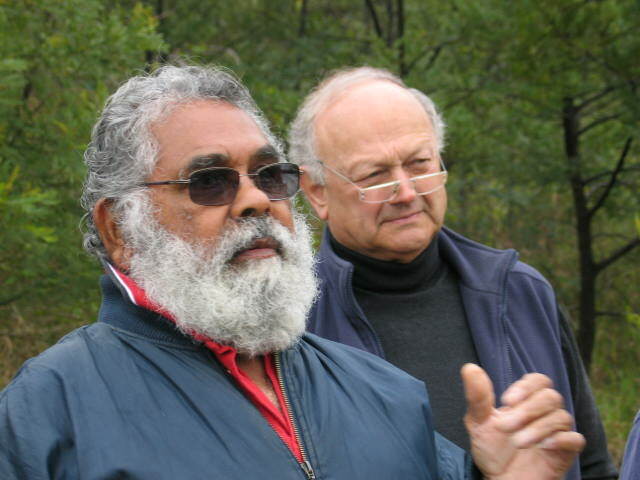 Glen Murcutt’s farmhouse in Kempsey NSW is certainly a long way from the centre of intellectual and political power in the Architectural world. But it is considered to be a work of international import and power. So why? Because it is authentic, because it is regional and because it is powerfully limited. Putting limits on ambition is one of the keys to true success. Working within the limits of opportunity and constraint often brings out the best in people. 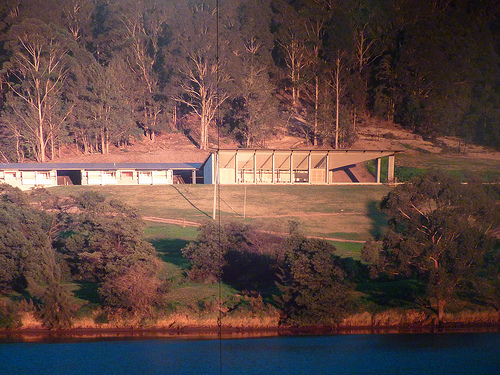 This house, which I believe to be the best of Murcutt’s long and industrious career, was interestingly one of his first being designed in the early 1970’s. To consider its success is to see the antithesis of the chase for international competitiveness that drives much of our thinking today. So what makes it so interesting? Centrally it is a cultural artifact. Though most often understood as the work of an individual it also represents the emergence of a sense that Australia had a cultural and architectural heritage that resided in the ordinary, the raw, the industrial and the rural vernacular. Australian people and their products that were born out of the need for simplicity, the scarcity of materials, ingenuity, and responses to the climatic conditions that prevailed here. These were identifiably Australian traits and images and part of our character. A lot of people with creative impulses in the 1970’s were mining the depths of our sometimes-ambivalent occupation of this country. Film makers, photographers, painters, writers, poets and architects were all busy finding an authentic voice and exploring the layers of our people, our landscape, and our artifacts that remained until this time uncelebrated. The house embodies much of this enterprise and puts it together in a profound way. 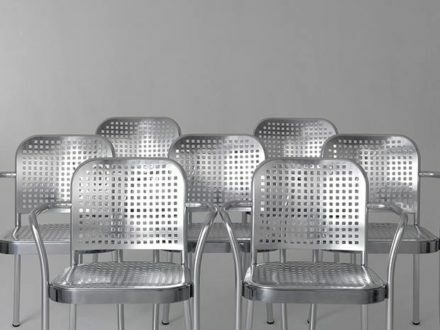 Simple technology is given renewed stature; the ordinary is elevated to artwork. It takes materials that were readily at hand, the technical skills that were available at the time, and makes a structure that is of interest to rest of the world because of the precise take on its’ limitations and its place in the world. The house is simple, functional, easy to use, very humane and lovingly used. 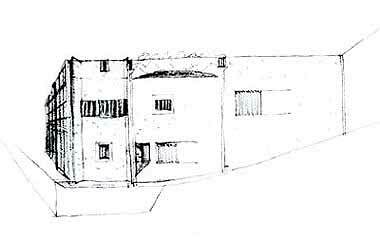 It is at once intimate and social, which signals perfect scale and assemblage of rooms. If we need models for sustainable, simple and appropriate ways of life we need to have the rear-view mirror more keenly focused on the not so distant past. A time if I remember rightly we still made the soccer World Cup and proudly fought the giants, but were more keenly aware of our place, its uniqueness and the battle to carve out an identity that was genuinely ours. The headlong rush and need to compete in any game, or in any field with the Germans, with China, or Americans for that matter can only end in tears. As a soccer coach myself I’d tell my under 10 Girls to go out and enjoy the match, learn something and then get back to the real world. Actually, Murcutt is hardly a “secret” since he travels the world teaching and lecturing at universities (including Yale University School of Architecture; Washington University, St. Louis; University of Pennsylvania; the state universities of Texas, Arizona, Kansas, and Hawaii). 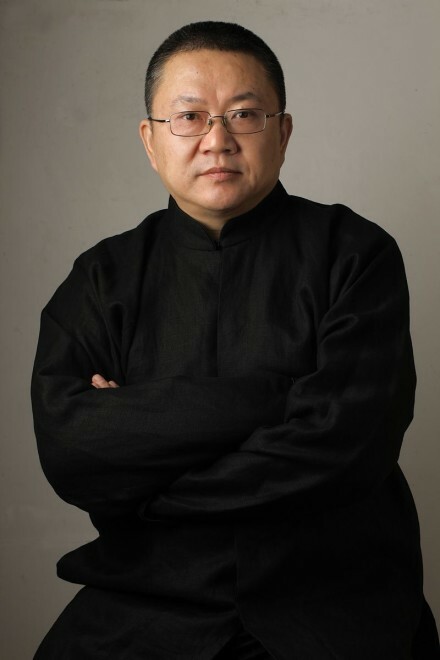 He has also been the subject of numerous books and international magazine articles. The Aboriginal people in Western Australia have a saying, “to touch this earth lightly,” which is a plea for man not to disturb nature any more than necessary. 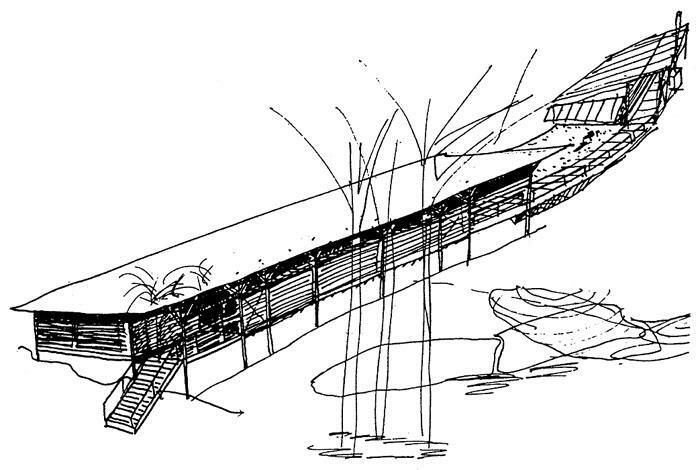 Murcutt’s architecture conveys that thought with his houses that float above the land on stilts a full story high, or footings that disturb the land minimally. In what we take as kudos to Murcutt, Herbert Muschamp of the New York Times offered: “His designs are formally rigorous, minimal structures that recall the work of Charles and Ray Eames. 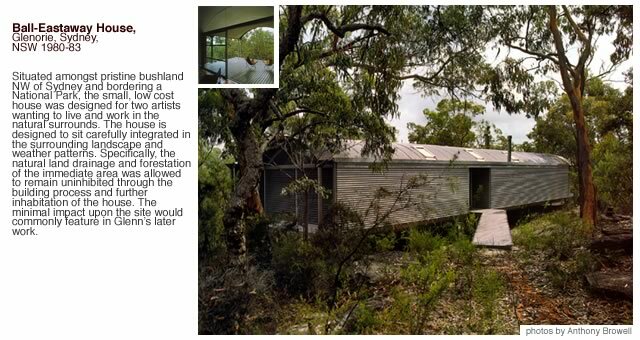 But Mr. Murcutt’s selection by the Pritzker jury can be seen as an acknowledgment that sustainability now overrides aesthetic criteria in the urbanizing world. Primarily working alone, the 69-year-old Murcutt has produced a body of work that is highly refined and responsive to climate yet stoic in appearance. “Fine-tuned to the land and the weather”—that’s how his houses were characterized when he won the 2002 Pritzker Architecture Prize. Designing in a manner influenced by Mies van der Rohe—an appreciation he learned as a young boy from his father—Murcutt creates his art from a palette of metal, concrete, timber, masonry, and stone. He defends his frequent use of corrugated iron cladding on both aesthetic and pragmatic grounds, noting that it provides the thinness, lightweight quality, edge, economy, and strength he desires. 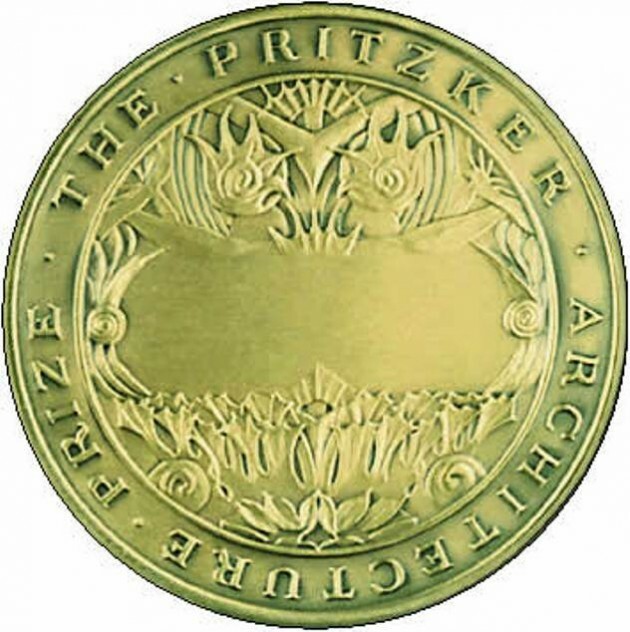 “When laid with the ribs horizontal, the upper surface of the corrugation picks up the skylight and the lower surface, the ground light, accentuating the horizontal,” he explained when accepting the Pritzker honor. 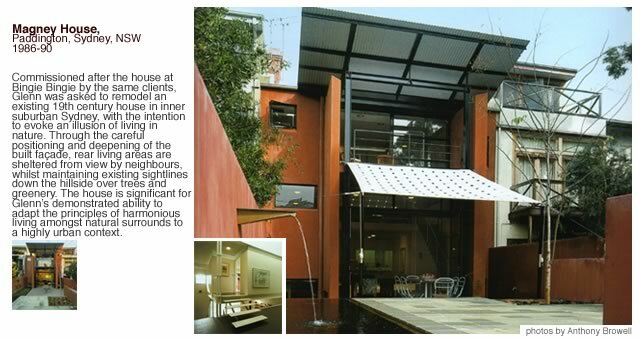 Nothing is taken for granted when Murcutt designs. 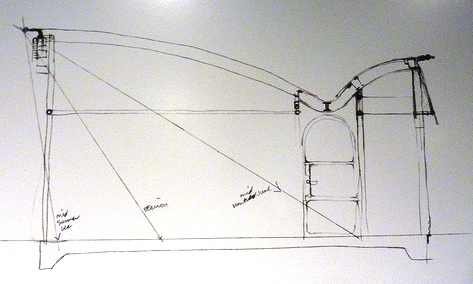 He calculates how much sunlight penetrates his houses and works to capture cooling breezes that vary with the seasons. He reintroduced storm blinds to Sydney, Australia—a version of exterior Venetian blinds that shield window glass from the hot sun.